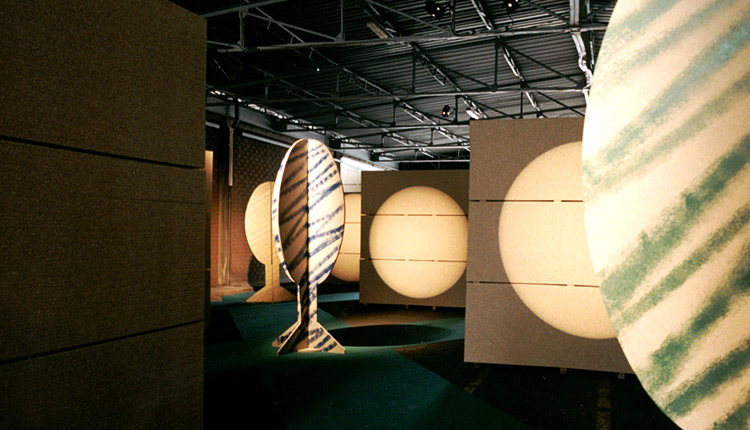 On the occasion of the first 40 years of a woodworking factory, a "scenographic" path for guests, where the stage is the same factory. And the show is its business. Machinery, forklifts, cranes, conveyor belts mark the rhythm. With an added mix of pop, rock and symphonicmusic. To catch the public unprepared and confuse reality and fiction. 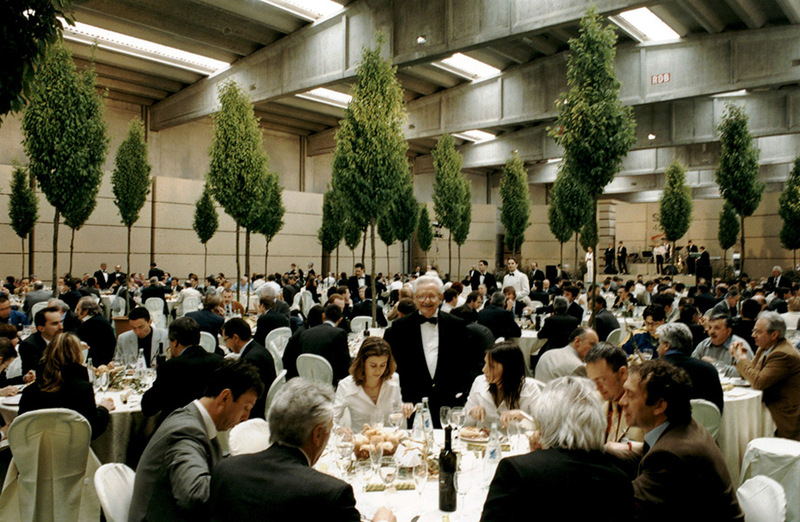 Poplar trees and other trees, real and fake, to furnish the huge entertainment areas.